Shop online for over 300 peco model trains at discounts up to 90%. Track / Accessories is the most popular of the 10 peco model trains categories, then Lighting / Electrical, and Railroad Scenery. This is the North American-Style Code 83 Hayes Bumper - 2-Pack - HO-Scale (2) by Peco. 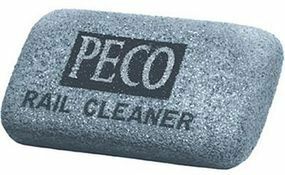 This is the Rail Cleaner Abrasive Rubber Block by Peco. This is the PL 10 Switch Machine by Peco. 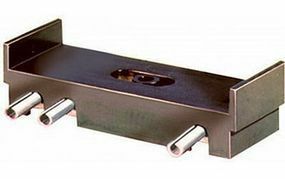 This is the Side Mounting Turnout Motor - PL-11 in HO Scale by Peco. This is the PL 10E Switch Machine w/Extended Drive Pin by Peco. This is the Accessory Switch for Switch Machine by Peco. This is the Lever Operated Passing Contact Switch for Turnout Motors by Peco. 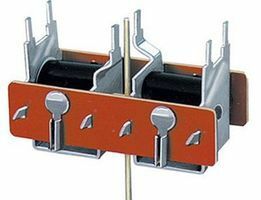 This is the N Code 55 & Code 80 Power Feed Rail Joiners (4prs) by Peco. 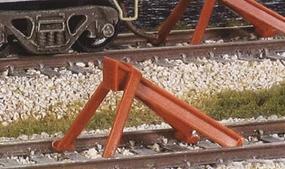 This is the (bulk of 12) Code 100 Wooden Tie Flex Track - Streamline - 36'' 91.4cm Section in On30 Scale by Peco. This is the Code 100 Medium Radius Turnout, Streamline, Left Hand with Insulfrog by Peco. This is the Code 100 Small Radius Turnout, Streamline, Left Hand with Insulfrog by Peco. This is the N Scale Universal Rail Joiners - Code 55/80 Nickel Silver pkg(24) By Peco. 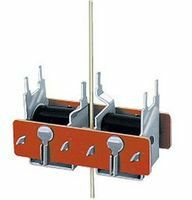 This is the Code 100 Medium Radius Turnout, Streamline, Right Hand with Insulfrog by Peco. This is the On30 Narrow Gauge Medium Right Hand Turnout w/Electrified Frog (24'' Radius) by Peco. This is the N Scale Code 80 Small Radius #4 Turnout - Streamline - Left Hand, Insulfrog By Peco. This is the (bulk of 12) Code 60 Flex Track - 24'' 60.9cm in Z Scale by Peco. 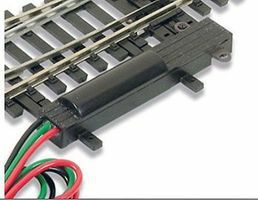 This is the Code 100 Small Radius Turnout - Streamline - Right Hand, Electrofrog in HO Scale by Peco. This is the N Code 80 Nickel Silver Rail Joiners (12pk/cd) by Peco. This is the Code 100 Small Radius Turnout, Streamline, Right Hand with Insulfrog by Peco.